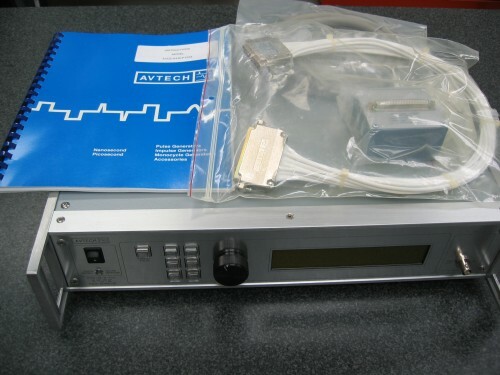 Includes operation manual, original test report, all cables, and AV-CTL0R5 test load. Typically used for driving high power pulsed laser diode arrays. 200ns -1 uS pulse width, 1 Hz - 1kHz pulse repetition rate.